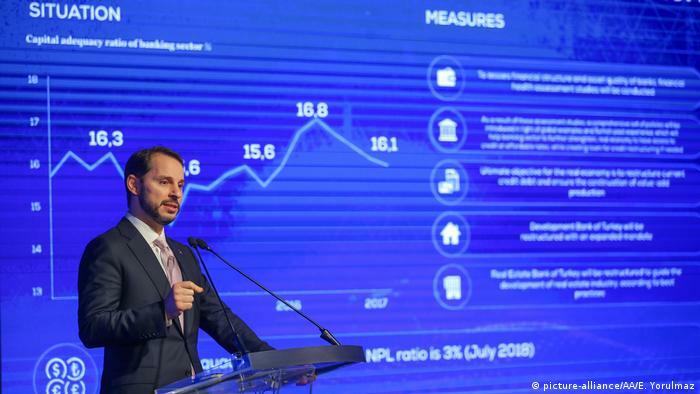 ★ Turkish finance minister Berat Albayrak unveiled a "new economic program" on Thursday, saying the government was aiming to "write a new success story" for the struggling country, reports the Deutsche Welle. Albayrak, who was placed in charge of the economy by his father-in-law, President Recep Tayyip Erdoğan, admitted though that the program would lower economic growth substantially, which was now expected to be 3.8 percent in 2018 and 2.3 percent in 2019 -- both revised down from previous forecasts of 5.5 percent. Greater economic prosperity has been one of the pillars of Erdoğan's popularity in his over 15 years in power, with the country seeing impressive growth rates such as 7.4 percent in 2017. But economists have repeatedly warned that Turkey's debt-fueled growth push will eventually lead to a potentially dangerous overheating of the economy, with inflation rampant, the currency account deficit widening and doubts over the health of the banking system. Those problems came to light in August when a diplomatic spat with the United States caused a crash in the value of the lira, sparking fears of a full-blown economic crisis. In August, headline inflation surged to 18 percent, while the Turkish currency lost about 14 percent to the US dollar, taking depreciation to a total of 40 percent in 2018. Since then, despite a sharp interest rate hike by the Turkish central bank, the country's currency has continued its slide amid skyrocketing inflation. And Turkish businesses are increasingly feeling the pinch. In related news, finance minister Albayrak was in Germany Friday for talks with German officials, ostensibly for securing financial aid from Germany. ★ Deutsche Welle reports that, Turkey Wealth Fund, the state-backed financial entity which owns nearly half of Turkish Airlines and other stakes in over a dozen large companies, is now headed by President Recep Tayyip Erdoğan, according to the country's Official Gazette. The value of the fund is estimated at $40 billion, and can be used to maintain pensions and welfare systems in times of crisis or to finance major projects. Turkey set up the entity after the failed coup attempt in 2016. Within the last two years, the authorities transferred billions of state assets into the fund, including its stakes in Turkish airlines, Turk Telekom, and several major banks. The goal, according to Turkey, was to use it to invest in infrastructure and shore up financial markets. ★ Turkish and Russian presidents met this week to strike out a deal on the Syrian province of Idlib. The province, which is next to the Turkish border, hosts millions of refugees from other parts of Syria. Syrian army has been conducting an offensive with the support of the Russian air force to retake the province. Turkey has been fearing that the offensive will push the refugees to Turkey. Already straining under the burden of taking care of nearly 4 million Syrian refugees, Turkey has been trying to stop the offensive. In their meeting Messrs. Erdoğan and Putin agreed to create a demilitarized zone in the rebel controlled enclave. Turkey also agreed to remove the radical Islamist groups from the area. VOA's Dorian Jones says that Russians are now putting pressure on Turkey to carry out the deal. Whether Turkey can influence the radicals to depart is another matter. 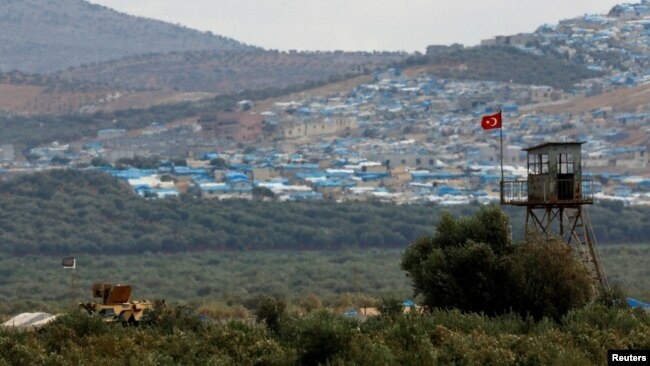 Turkey and the local Syrian rebel groups aligned with it is controlling large areas in northern Syria, which analysts say that Turkey will use as a bargaining chip against Syria, and except it to take back the refugees in Turkey. Control of these areas in Syria also help with Turkey's security. ★ German intelligence is reportedly examining whether to put the Turkish-Islamic umbrella group DITIB under surveillance. The Turkish-state backed DITIB has been at the center of multiple controversies. DITIB runs more than 900 mosques tied to the Turkish government's Directorate of Religious Affairs, which provides financing and imams to the mosques. 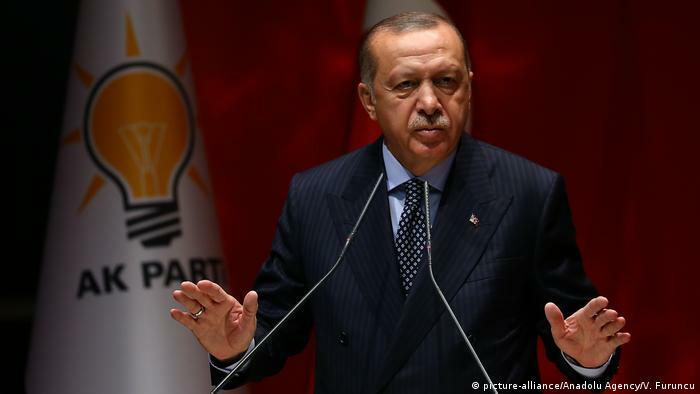 The possible move against DITIB comes a week before Turkish President Recep Tayyip Erdoğan arrives in Germany for an official state visit. During the two-day visit, Erdoğan will officially open DITIB's new central mosque at its headquarters in the western city of Cologne. Last year, German authorities investigated 19 imams alleged to have acted on the orders of Turkish diplomatic posts to spy on followers of US-based preacher Fethullah Gülen, who Turkey blames for the coup bid in 2016. For many years, DITIB was a partner in many German government-supported counter-extremism and integration projects. Last month, the German Interior Ministry announced it had stopped funding projects with DITIB. DITIB is a member of the German Islamic Conference, a body designed to promote dialogue between the state and Muslims living in the country. If DITIB were placed under German intelligence surveillance, it would have to leave the body. ★ Two years after the 2016 attempted coup that Turkish officials blame on the followers of US-based cleric Gülen, Turkish officials are still arresting people that they think are linked to the group. The latest is the arrest of around 100 high-ranking officers on active duty which comes shortly after the firing of 15,000 military and police officers. So far nearly 160,000 people have been arrested, and about the same number of civil servants and military have been fired. Human rights groups and critics have accused Turkey's President Erdoğan of using state of emergency powers to quash opposition to his rule. Cleric Gülen is rejecting the Turkish allegations. Turkey's request from the US to extradite him is causing major friction between the two countries. ★ Turkey has arrested a 29-year-old Austrian journalist and charged him with membership in an illegal organization, reports the Deutsche Welle. The journalist Max Zirngast had recently graduated from the Middle East Technical University in the Turkish capital Ankara, where he studied political science and philosophy, according to his lawyer Tamer Doğan. "Max has no links with any illegal organization," Doğan said, adding the he rejected the charges against him. "He is a journalist working in the scope of the law," the lawyer insisted. But in the past, the 29-year-old journalist Zirngast had written articles critical of Turkish President Recep Tayyip Erdoğan and also published articles on the outlawed Kurdistan Workers' Party. ★ Turkey's international celebrity chef Nusret is coming under attacked by the Venezuelan community in Miami Florida for hosting the Venezuelan president Nicola Maduro while he was visiting Turkey. 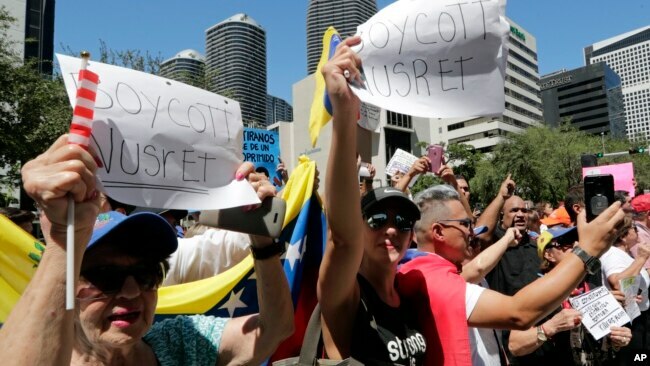 Dozens of Venezuelans protested outside Nusret's Miami restaurant on Wednesday, and the videos Nusret posted on Instagram showing the Venezuelan president dining at his Istanbul restaurant were deleted. Online review site Yelp took off the comments section for Nusret's restaurant because of thousands of negative comments that started coming in. Florida Senator Michael Rubio also criticized the chef on Tuesday. Rubio tweeted: "I don't know who this weirdo #Saltbae is, but the guy he is so proud to host is not the President of #Venezuela. He is actually the overweight dictator of a nation where 30% of the people eat only once a day & infants are suffering from malnutrition." When President Maduro returned back to Venezuela, he said "I send greetings from here to our friend Nusret. Comrade, soon I'll return to Istanbul so we can see one another again. Thanks for the gifts." ★ Turkish police detained 24 construction workers for protesting work conditions at the construction site of Istanbul's third airport, reports the daily Cumhuriyet. The airport is one of President Erdoğan's major projects. The protesters complained about poor work conditions and numerous deaths during the construction. 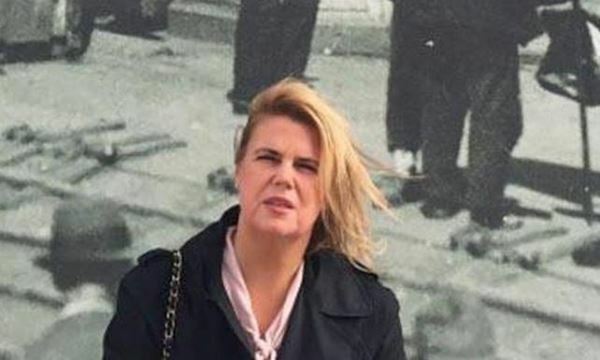 New York-based human rights watch Turkey researcher Emma Sinclair Webb said "this is an appalling assault on the right to protest and organize and on the dignity of workers in Turkey". The airport is due to open on October 29. It will be the largest airport in the world. ★ Speaking of airports, Turkish President got a yet one more jet for himself. 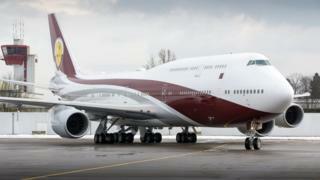 The plane, estimated to be $500 million, is stirring indignation among some Turks. Turkish president says that it is actually a gift from the Emir of Qatar. Opposition MPs have expressed concern that the president was using taxpayers' money to buy a jet as the country struggles to avert a financial crisis. ★ Ruhi Su, one of Turkey's important folk musicians and also a classical music singer at the State Opera, was commemorated at his tomb on the 33rd anniversary of his death in Istanbul, reports the daily Cumhuriyet. The Ruhi Su Culture and Arts Association, the Ruhi Su Chorus, International Workers Solidarity Association, friends and students of Ruhi Su participated in the commemoration. ★ The 55th National Competitions for the Turkish films are taken place this year in Istanbul. The films extend from the premiers of young directors to the latest works of film masters. Among the movies competing for the national competitions are seven films that represent different directions in the Turkish film. The National Competitions was part of the Antalya Film Festival until two years ago. However, Antalya film Festival organizers decided to discontinue competitions for the national films. Many directors, actors and other film workers protested the decision, when their calls to reinstate the domestic film competition, they decided to organize a separate one. This year the National Competition will take place between September 30 - October 4. ★ Another film news is about a series of films about schools that Istanbul's Pera Museum will screen. Named "Where is the Play Yard", the program will show nine films to honor the 150th anniversary of the establishment of the renowned Turkish high school Galatasaray. Miseducation of Cameron Post (2018) by American-Iranian film director, producer, screenwriter and actress Desiree Akhavan. 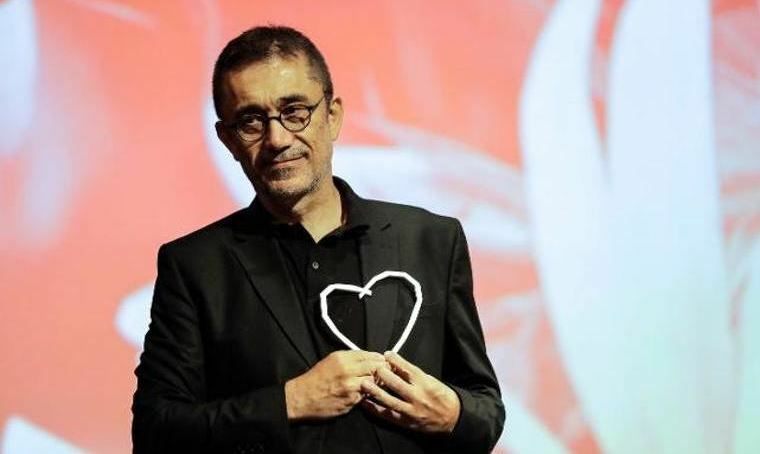 ★ The 8th Malatya International Film Festival that will take place between November 15 and 9, chose for the jury head for the international full length film competition internationally renowned Turkish director Nuri Bilge Ceylan. Ceylan will also be a guest at the "Master Class" at the Festival and will share his experience with others in the film industry. Malatya is a city in southeastern Turkey. ★ Screening of Turkish films as part of the 8th Bodrum Turkish film weeks started across the Aegean Sea on the Greek island of Kos, 3 miles away from Turkish shores. Bodrum is a city on the Aegean coast in Turkey's southwestern province of Muğla. The Kos deputy mayor Elias Sfakis spoke at a press conference and said that it was the Bodrum film Turkish film weeks head Cenk Sezgin's idea for many years to start a Turkish films week on the island, and that they were happy to put the his dream into life. Sfakis said that the next step is to have a Greek film Festival in Bodrum. Following the press conference, the Turkish films "Two Shores Half Love" and "Earth" were shown. The two films directors Nurdan Tümbek and Nebil Özgentürk also joined the screening. Selda Alkor who acted in the first film also was present. ★ The renowned French actor Gerard Depardieu says that he will travel to Turkey in October and meet Turkish president Recep Tayyip Erdoğan. Mr. Depardieu says that he wants to become a Turkish citizen. 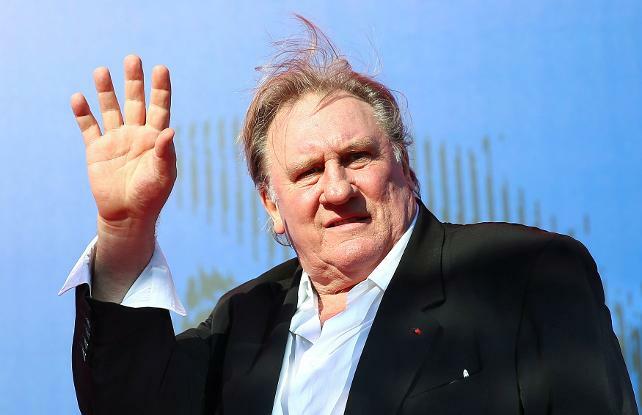 In addition to his French citizenship, Mr. Depardieu says that he is also a Russian and Algerian citizen. 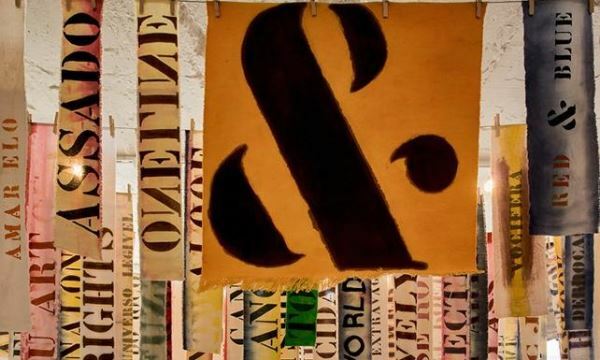 ★ Istanbul Design Biennial has started on September 22. The Biennial is curated by Jan Boelen, a curator of design, architecture and contemporary art from Belgium. The theme of this year's biennial is "School of Schools". For six weeks the event will evaluate design and education from different perspectives through exhibitions and activities. The Istanbul Design Biennial will have 100 exhibitors from different parts of the world. In addition, it will have free talks, workshops, conferences and film screenings to invite the attendees to learn about design and education, question them and discover new thoughts. 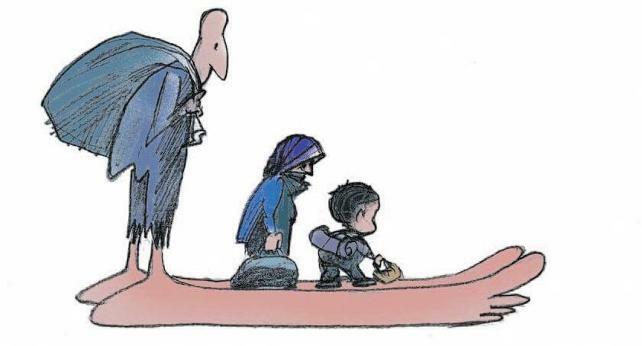 ★ The 8th Turhan Selçuk Cartoon Competition Awards, was held in the Milas district of Turkey southwestern province of Muğla, reports the daily Cumhuriyet. Turhan Selçuk, who passed away in 2010 at the age of 87, was born in Milas and was one of Turkey's preeminent cartoonists. 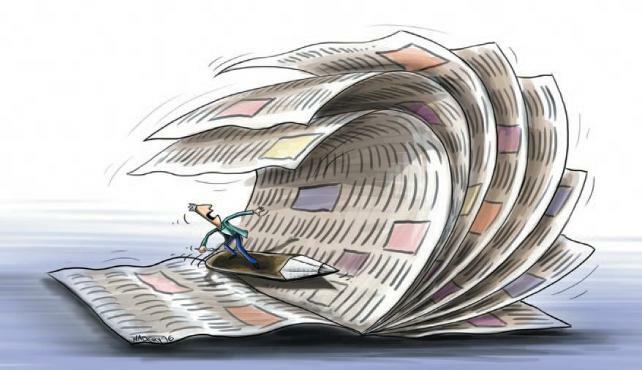 514 cartoonists from 61 different countries participated in the competition with 1847 cartoons. The winner of the first prize was Zarko Luetic Zar from Croatia. The Special Prize of the Cumhuriyet Newspaper was won by Verse Naderi from Iran. The members of the daily Cumhuriyet, Kamil Masaracı, İzel Rozental, Serter Karataban and Eda Oral won the second prize. Numerous people were present in the ceremony held in the historic Çöllüoğlu Inn. Many government officials, local leaders, Milas Mayor Muhammet Tokat, Muğla's parliamentarian Suat Özcan and even the Garrison Commander were in attendance. 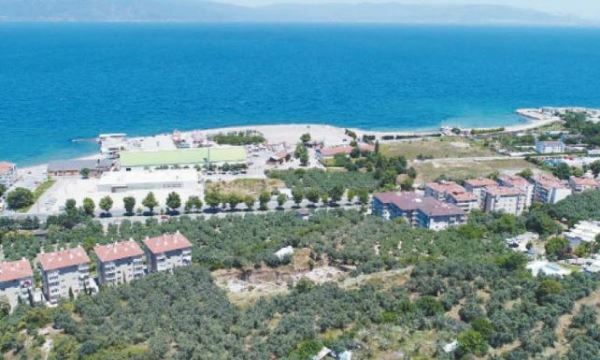 ★ Myrleia, A 2700-year-old antique city, is going to be covered with a shopping center soon in Turkey's Northwestern city of Mudanya. According to the mayor of the city, the builder has secured a permit by using a recent law forgiving constructions deemed illegal. The mayor says that they will take public actions to inform the people about what is taking place, in fact, there may be hunger strikes to draw attention to the action of the builder. The antique city was uncovered during excavations for foundation work for the shopping center in 2012. The Committee to Protect the Cultural and Natural Heritage for Bursa province decided that the construction could go on but at the basement of the shopping center there should be an open area covered with glass that would show the ruins of the city. But then a grassroots organization, the Platform for Myrleia, sued the committee in court to stop the construction. Turkey's Council of State, one of the Supreme Court's in Turkey, stopped the court proceedings twice and sent back the dossier back to the court, and the legal proceedings on the matter is still continuing. ★ Another bad news for yet one more archaeological site. 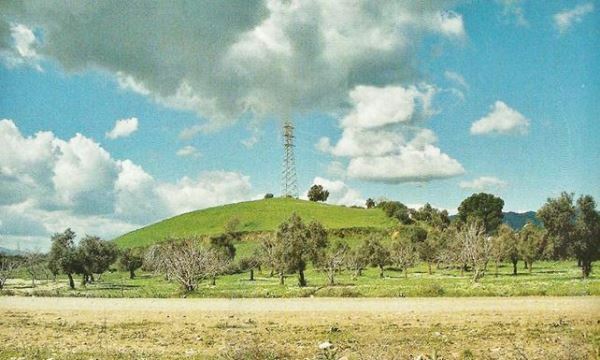 The Deştepe mound in in Turkey's western province of Aydin, is being sold after it was repossessed, reports the daily Cumhuriyet. The mound is a settlement that was occupied from 5000 BCE to 3000 B.C.E. and contains ruins from the Chalcolithic age. When construction of homes around the mound started in 1995, Izmir Second Commission for Protection declared the area a protected archaeological site. This stopped the construction, however, in December 1996, people interested in continuing the building of homes, tried to build a mosque at the site. There were other attempts to build on the site in later years, which were all stopped. The court that is overseeing the auction of the repossessed mound, valued it at $20,000 in local currency. The mound covers approximately 200,000 sq. ft. of land. 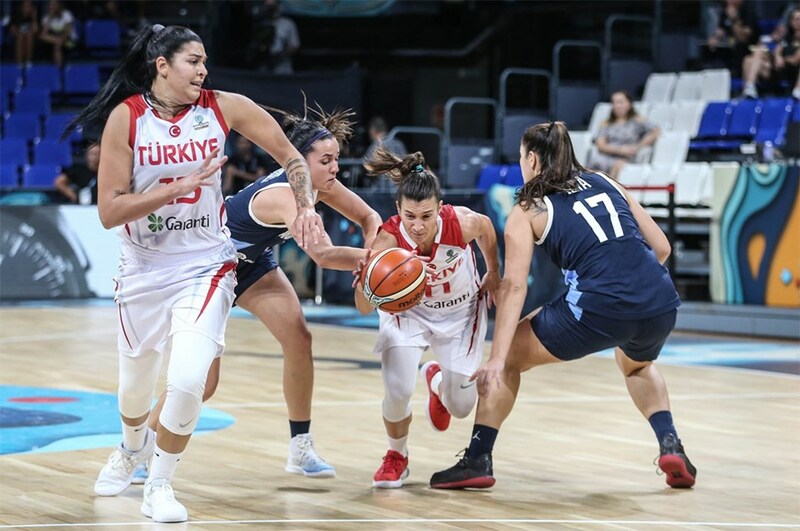 ★ In basketball, Turkey's women national team beat Argentina, 63-37 in Spain for 2018 International Basketball Federation World Cup. 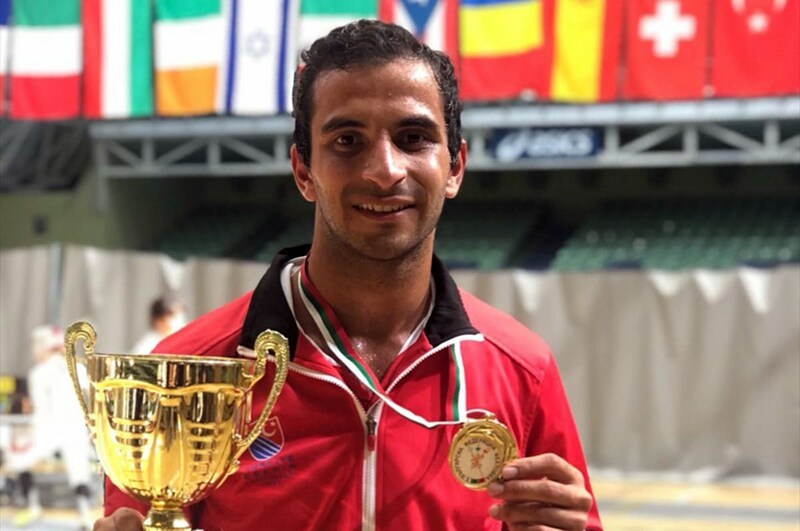 ★ Turkish fencer Enver Yildirim won a gold medal at the FIE Satellite tournament in Men's category in Plovdiv, Bulgaria. ★ Turkish gymnasts Tutya Yilmaz and Demet Mutlu reached the finals in Artistic Gymnastics World Challenge Cup being held in Hungry. A fun and relaxing day in the park for everyone. There will be live music at the event as well! 9:00 PM, Saturday, September 29. Call us or email trh@turkradio.us for our drawing!